PowerWallet is a new online money management tool that is 100% FREE! Yep, that means that you can sign up for free and manage all of your financial and bill accounts at no cost! Our free online money management tool offers the best financial tools and money saving technologies combined in one product to give Americans like you the power to take control of their money and bills. PowerWallet can help you and others establish a solid basic financial education that will allow you to be financially successful. Curious about the features that PowerWallet offers? Below are our top features that you can take advantage when you sign up! The Power to Plan – PowerWallet allows users to link an unlimited number of online bill accounts as well as financial/investment accounts into PowerWallet so users can get a real-time view of their current financial situation. From there, users can create a budget, plan for the future and see where they can cut costs. Users can also learn to live within their means with our helpful email spending limit alerts. The Power over Bills – Users can view their monthly calendar and get an overview about when each of their bills is due and how much is due. They can also set up email bill alert reminders to remind them to pay a bill so they never miss a bill and pay a late fee or interest. Powerful Deals – Rather than searching through your emails or different deals/coupon sites, PowerWallet offers customized coupons and daily deals via email and within the platform. Customized coupons are offer based on the user’s geographical location as well as their spending history. Power to Earn – PowerWallet offers a rewards program that no other personal financial management (PFM) tool currently offers. So not only can users budget, get bill alerts, and access to great customized coupons, they can earn money! Users can currently earn PowerPoints for budgeting with PowerWallet. 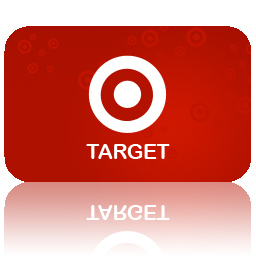 Coming this fall, users will be allowed to redeem those points for cash back on a PowerCard. Powerfully Secure – PowerWallet is committed to protecting user’s personal information. We use 256-bit SSL encryption and are protected by VeriSign, McAfee, and Trustee. We also test and certify our site daily to protect users from identity theft, viruses, spyware and other online threats. The platform is a “read-only” product which means that no one can transfer or remove funds from a financial account, which garners as an additional safety feature to using PowerWallet compared to mobile banking/credit apps. PowerWallet on the Go – PowerWallet currently offers a fully functional mobile site that functions just like an app. It is easy to navigate and update via any Smartphone device and tablet. Whether users want to manage their money from their desktop computer or on the go via their Smartphone, they can easily access PowerWallet and add new accounts, transactions, budgets and more – something our competitors do not offer. PowerWallet expects to launch an iPhone application this fall. Summer is winding down and many kids have returned to school in the South and many more are gearing up to go back to school in September. As a parent, preparing for the school season can not only be stressful but can seriously impact your budget. That is why we have hosted a Back-to-School Challenge where the winner will receive a $250 Target gift card to cover all of their back to school shopping needs! 1. Visit www.powerwallet.com and sign up for free to start budgeting smarter! 2. Follow us on Twitter @powerwallet. 3. 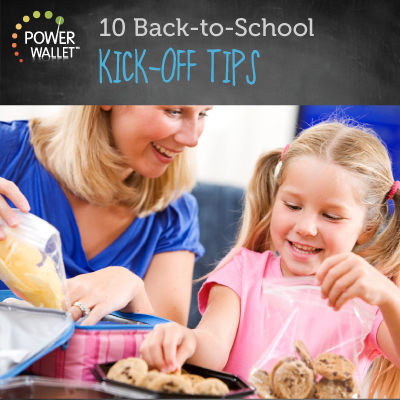 Tweet us your favorite frugal back-to-school shopping tip @powerwallet. Good luck! The winner will be announced Monday, August 27, 2012 via Twitter. How Are Gas Prices Impacting You? If you drive an automobile on a regular basis, I’m sure you’ve noticed the significant increase at the gas pump this summer. Tackle on the heat index causing us all to blast the air conditioner in our car and homes harder for longer amounts of time and the price we are paying for gas usage is startling. According to the Wall Street Journal, gasoline futures have increased 19% over the past two months, causing a rippling effect on other markets including the retail industry. This new increase is preventing millions of Americans from taking family summer vacations and is overall taking away money from other areas of their budget. A recent AAA Fuel Gaug Report revealed that U.S. drivers paid an average of $3.72 for a gallon of regular gasoline in the past month. Car Pool – This may be a tricky one but become friendly with your classmates or co-workers and see if you all can arrange a car pool schedule – this can reduce your gas expenses by up to 30% a month! Turn the A/C off when you are at work – This is a very helpful tip! If you usually have your thermostat on 75 degrees when you are home, make sure to put it up to 79 or 80 while you are at work to reduce wasteful use of electricity that will overall put a damper on your budget. Use public transportation – If you live in a major city, this tip will be most useful. 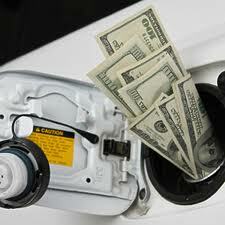 Take advantage of the bus and metro system in your community to cut gas costs. Plan with PowerWallet – Monitor your gas expenses with PowerWallet, a free online money management tool that can help you cut costs, budget smarter and set spending limit alerts! 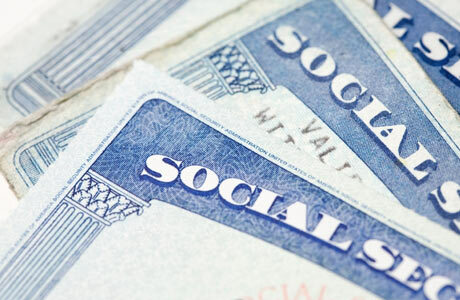 The U.S. Social Security Administration recently launched a new online tool to help workers view their Social Security earnings and benefits with the ease of a few clicks and an Internet connection. According to the USA Today, the new tool also allows people to estimate their retirement, disability and survivor benefits. Many Americans are relieved that major government agencies like Social Security are finally catching up with the times and using advanced technology to better communicate with Americans rather than using standard mail that takes too long. Social Security annual earnings statements use to be sent out via standard mail but was suspended in 2011 and has now transitioned to this new cost effective online platform. Some exceptions apply to the standard mailing of a person’s current earnings statement. Paper statements will be mailed to workers 60 and older who aren’t already receiving benefits by next year. Later this year, paper statements will be mailed to workers in the year they turn 25. Before people can start reviewing their online earnings statement, they must first register their account at http://www.ssa.gov/mystatement/. Be prepared to answer personal questions for security purposes. With this new technology tool, people can see how much they will realistically earn when they are at the age they want to retire but remember to consider the increase in the cost of living and inflation. The program gives you three estimates for monthly payments at age 62, full retirement age (which varies, depending on when you were born) or age 70. 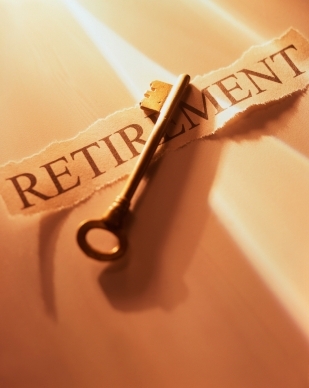 Make sure to examine all your options so you can be fully prepared for retiring happy and financially secure. Start taking power over your money and bills TODAY with PowerWallet, the best free way to manage your personal finances. Today is the first day of school for many kids on the east coast of the U.S. and many parents have made the smart frugal decision to wait until after school starts to get all major school supplies. 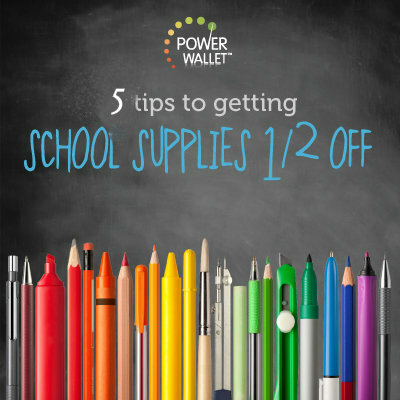 Today’s blog post offers 5 tips to getting school supplies up to 50 percent off! 1. Buy in bulk — You know you’ll need paper, pencils, glue sticks and notebooks to get your kids through the school year but remember to check your local dollar stores to buy these and other basics in bulk. You and a group of other parents might be able to negotiate a group discount from an office supply store. 2. Budget in advance — Make sure you know how much money you can realistically spend by creating a plan in PowerWallet, the best free way to manage your money. 3. Don’t overspend — Although you may be tempted to buy every color highlighter you see, make sure to not over do it and buy more than you need. This will help you cut your school supplies costs down significantly. 4. Use coupons — Coupons are a mom or dad’s best friend that can help cut down the overall cost of school supplies. Make sure to look on the Internet, check out your frugal Smartphone app’s and check PowerWallet’s deal section for the latest back to school supplies coupons. 5. Shop off season — If you were one of the smart parents that waited to buy school supplies, congrats! Starting today through next week, most major retailers are going to slash their back to school supplies and you can score some big savings! If you have more frugal school supply shopping tips, feel free to share them with us in the comment section below! Millions of kids around the United States start school this upcoming Monday and we have some awesome deals and discounts for you to get your last minute back to school shopping done! Click the links below to take advantage of these great sales! Also, make sure to follow @powerwallet on Twitter, tweet us your fav back-to-school frugal shopping tip and sign up for PowerWallet.com to start taking power over your finances today! Aeropostale text link – Everything 50% off at Aeropostale! Everything 40% off at P.S. from Aeropostale! Flash Sale! 25% Off Steve Madden Womens with code FLASH25 at ShoeMetro.com!! Hurry, Sale ends 8/18! Millions of kids have just 5 days until they head back to school and start another school year. 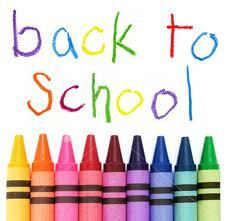 If you are a parent, are you fully prepared for your kids first day back? Today’s blog post offers 10 back-to-school kick off tips that will help them start the year off in the right direction. 1. Go to sleep early the night before — This is very important and may be a challenge, but make sure your kids get at least 8 or 9 hours of sleep and are well rested so they aren’t difficult to wake up in the morning. 2. Plan lunch/snacks for the entire week ahead of time — Make sure to get your grocery shopping duties out of the way the weekend before and cook and prepare everything on Sunday, so when the week comes, you won’t be overwhelmed between work and your kids school needs. 3. Layout first day of school attire — Whether your child has to wear uniforms or can wear casual clothes, make sure they have it planned out and ready to go so when the morning comes, they won’t waste time trying to assemble their outfit. 5. Get your kids new class schedule — Most schools should distribute this at least a week in advance of the first day of school. You want your kids to be familiar with their schedule so they are fully prepared to do well in school! 6. Meet the teachers — Most schools usually offer a new orientation or a meet and greet a few days before school starts. We recommend all parents do this to establish a good relationship with your kids teacher and make sure you communicate any issues you may worried about in the coming school year. 7. Leave the house early — the first day of school may be chaotic and the new on-set of traffic may make it tough to get to school on time. Make sure to leave your home early by at least an additional 15 minutes so your kids aren’t late on their first day back. 8. Give them a little cash — Your kids may have an emergency or just be very hungry on their first day back, make sure they have some cash on them for these types of situations. 9. Double check school supplies — Make sure that your kids have all the proper school supplies in their backpacks. It would be a tragedy if you spent all your free time shopping for school supplies and then forget to pack them all. 10. Check for paperwork — The first day of school usually entails a ton of paperwork that parents have to sign. Make sure to follow up with your kids at the end of the day for any papers you may need to sign or read. A new study conducted by the National Bureau of Economic Research published earlier this year proved that nearly half of the adults living in the United States die with less than $10,000 when it comes to their personal assets and wealth. With senior citizens being forced to pay on their underwater mortgages well into their retirement years and millions more paying off old student loan debt that was deferred or defaulted on in their earlier years, more than 46 percent of Americans are finding themselves with very few assets left to cover funeral costs once they pass away. Another contributor to this epidemic affecting American senior citizens is that the majority of them solely rely on social security to cover their living costs – an income that in actuality only covers about 70 percent of estimated living costs in 2012. On a lighter note, the study does outline that most households are somewhat prepared for retirement excluding major accidents or catastrophes like a major health expense or a natural disaster (i.e. major hurricane, tornado or earthquake damage). For those individuals in their 20’s or 30’s who are reading this, the best financial advice I can give you is to learn from other generations mistakes and start saving for retirement NOW! Look into what options your employer offers regarding a 401k or IRA – most employers match at least half of what you contribute which is just another way of saying they are giving you free money! The longer your money has the chance to compound and grow in an investment account, the more likely you will retire comfortably and with more than $10,000 in the bank. Also consider other investment options to create an additional stream of revenue for yourself and put that income towards debts you may have including your mortgage, student loan debt and credit card debt. Make sure to take power of your finances now and establish healthy personal financial management habits with PowerWallet, a free online money management tool designed to help you stay on top of your bill due dates, budget, set alerts and get access to customized coupons and deals! 1. Follow @powerwallet on Twitter. 3. Visit www.powerwallet.com and sign up for free to start taking power over your finances today! Remember, you must complete all 3 steps in order to qualify for the grand prize! We will announce the winner on Twitter, Aug. 24! Good luck! Back to school shopping is in full effect! Do your kids attend a private school? Or perhaps they attend a public school that still requires uniforms? 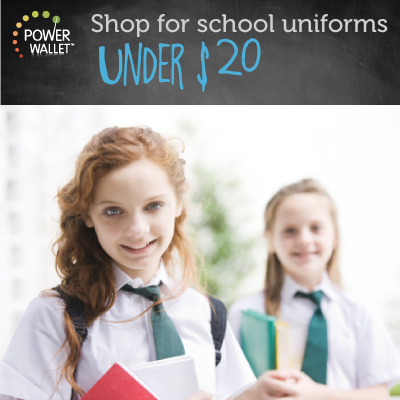 We know uniforms can be pricey, so today we are offering frugal tips to help you get school uniforms for your kids for less! 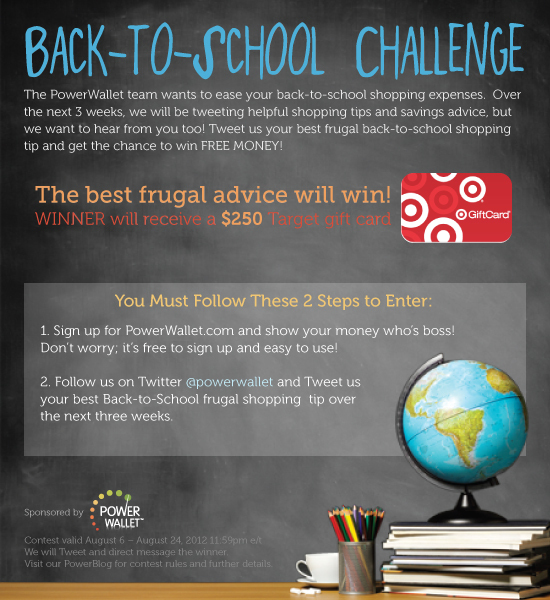 Remember to sign up for PowerWallet, follow us on Twitter and tweet us your favorite back to school frugal shopping tip for the chance to win a $250 Target gift card! 1. Shop Early – The sooner you start your back to school shopping, the better chance you will have finding school uniforms for the right price. You may even want to wait until after the first week of school when stuff goes on sale and you can score even more savings! 2. Comparison shop – Luckily most comparison shopping can be done through mobile applications or online with the help of a Google search. Search retail stores and make sure to check out the actual vendors or wholesale online stores that make uniforms. If you cut the middle man out (the retail store), you can save up to 30% on your kids school uniforms! 3. Set a budget – Before you even start shopping, know how much money you have to work with. You can use a free budgeting tool like PowerWallet to help you reach saving goals and then you can set a spending limit so you don’t overspend and find yourself in a spending blender! 4. Know your needs vs. wants – Although it may sound like a great idea to stock up on school uniforms all at once because it will reduce your laundry washing needs, it may put a strain on your cash flow and budget. Only buy what you really need and make sure you pin point for yourself and your kids so you don’t overspend.